Back on November 3rd, I blogged about the electrical pole at The Greenhouse where I work and the boys attend school. Well, I’m happy to report exactly one week ago the electric company came and replaced the pole! It took a few months, but we are happy it’s replaced and we don’t need to have the path blocked off for student’s safety. 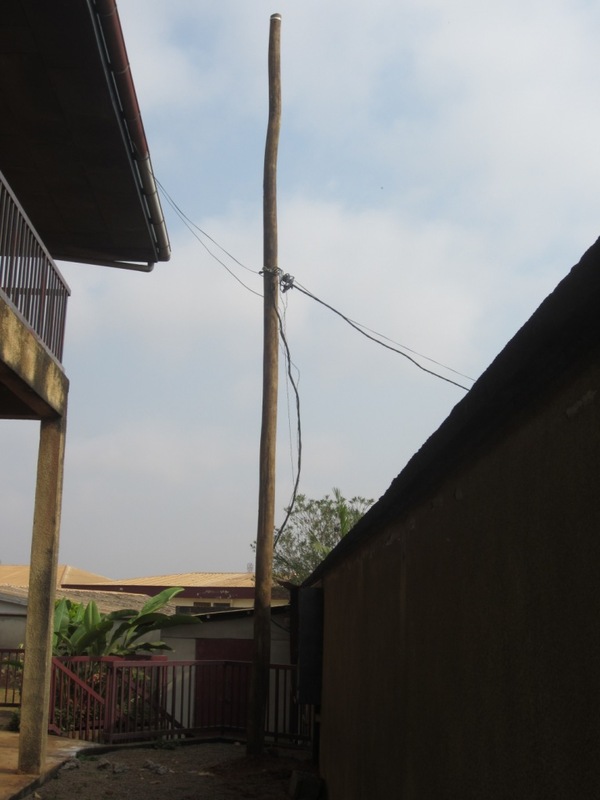 This entry was posted in Cameroon and tagged Cameroon, electrical pole, Friday flashback. Bookmark the permalink.